For some programmers (especially for begginers) it might be a bit difficult to understand how do SQL joins work in real life. In fact, sometimes even experienced software developers are not able to explain what is the difference between JOIN, LEFT JOIN and RIGHT JOIN. 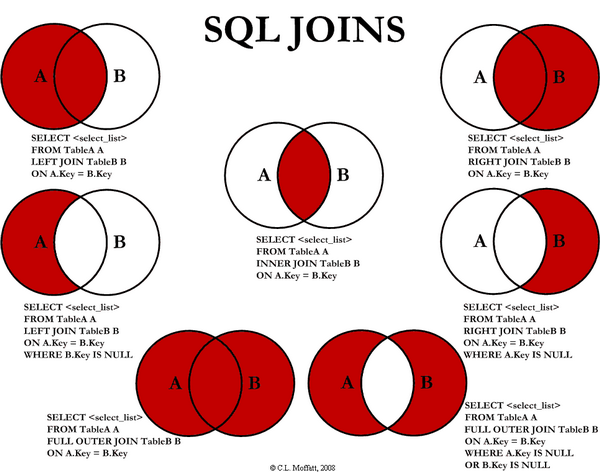 Luckily, I found, perhaps, one of the best visual representations of SQL joins I have ever seen which will definately help to understand the mechanism of SQL joins.